I found freedom in my career to do what i love - and tech skills got me there! When you’re first starting out in tech (or in any field, really), it’s easy to feel overcome with doubt. Will I ever learn everything I need to know? Will my skills ever improve? Do I even belong here? This doubt is called “imposter syndrome,” and as anyone who’s ever started a new career can tell you, it’s very real. But one of our fantastic alums is proof that a positive attitude and resourcefulness will get you far. 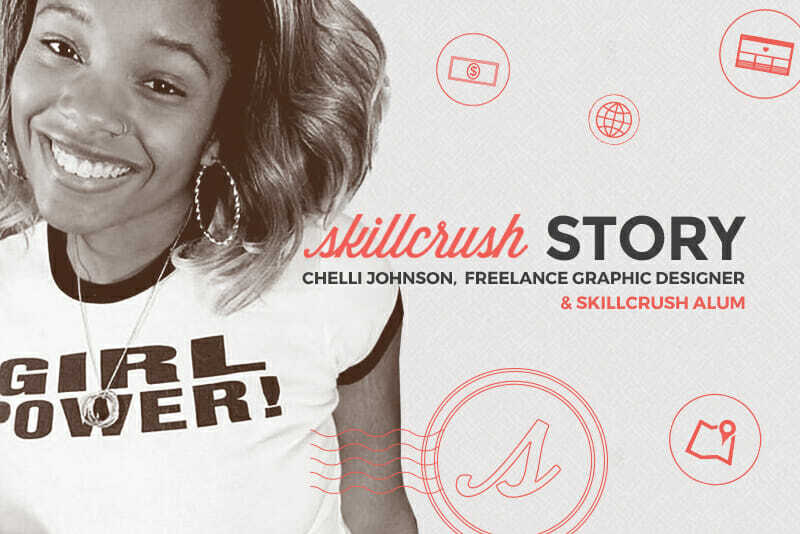 Chelli Johnson completed her first Skillcrush Blueprint while working full-time and running a successful freelance graphic design business. Today, she uses her tech background in a successful non-tech career. We’re thrilled to have her as one of our featured alumni on this week’s Skillcrush Stories series. Head over to Chelli’s Story page to read about her journey into tech! 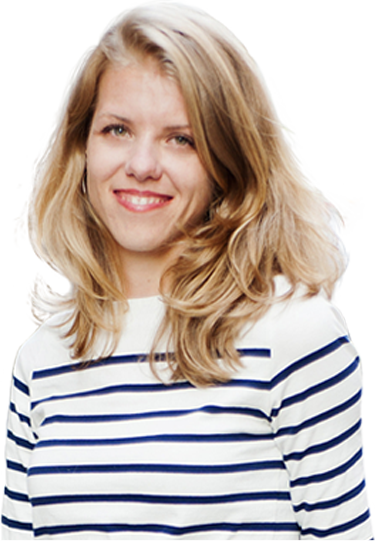 We had a few more questions for Chelli and wanted to know about her background and her secrets for success. Here’s her take on starting from ground zero! Was graphic design something you’d always wanted to do? Yes and no! I was always drawn to the idea of art, but I couldn’t draw. I never really tried because I thought you had to be born with those skills. But it all opened up for me when I was 12 and I got Photoshop. I started playing around with it and then actually learned enough about design principles that I took up drawing and painting after the fact! I’ve loved design ever since. What made Skillcrush the right fit for you? 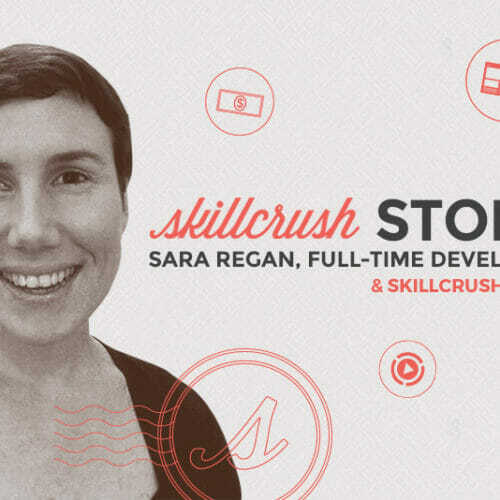 What initially appealed to me about Skillcrush was the way it was so inviting and friendly, which was very different from a lot of other coding bootcamps. There is such a strong community—among students, teachers, and alums—that you can always find encouragement and support. I also really liked the fact that it was so supportive of getting women into the industry, which took away the intimidation factor. How have tech skills made the difference in your non-tech career? For me (and I think this applies to anyone who goes on to work in a career other than tech), learning tech skills paid off way more than I’d expected. This journey gave me confidence, made me more well-rounded, and taught me a way of thinking and organizing information that makes me such an asset now. I’m able to work through problems and handle myself professionally and confidently, both at work and in my freelance business. 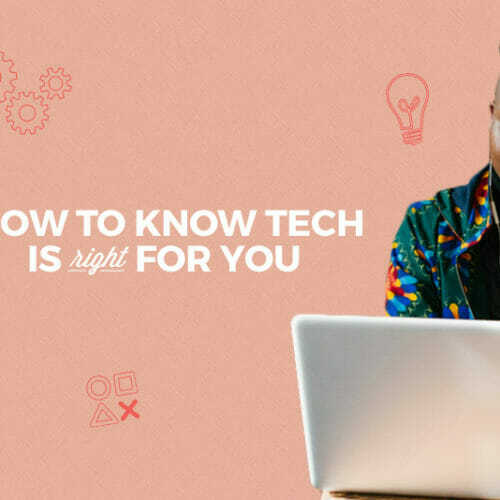 You can’t lose when you learn tech skills! What advice do you have for people starting their Skillcrush journeys while working full-time? It’s challenging, but be positive and be persistent! If you want to make a change, there is always a way. Work lessons in when you have time: the videos and tasks are short and sweet, so you can do them on a lunch break or when you get home. And also, be resourceful and use what is available to you. 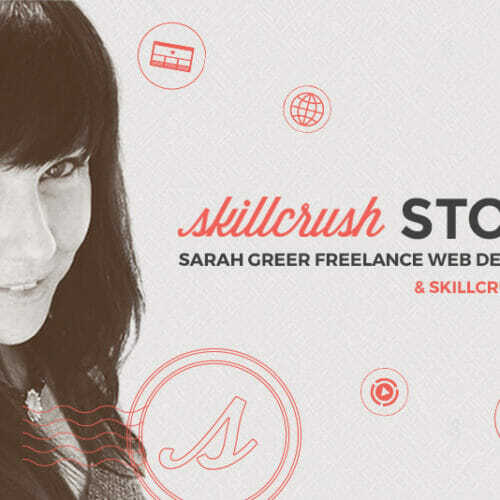 Skillcrush has amazing free resources, from blog posts to guides to cheatsheets. Use those (and every other resource you can find) to your advantage! Head over to Chelli’s Story to read more about her awesome journey. hey there and thank you for your info ? I have certainly picked up something new from right here. I did however expertise several technical issues using this site, since I experienced to reload the site many times previous to I could get it to load properly. I had been wondering if your hosting is OK? Not that I am complaining, but slow loading instances times will often affect your placement in google and could damage your high quality score if ads and marketing with Adwords. Anyway I am adding this RSS to my e-mail and can look out for much more of your respective fascinating content. Ensure that you update this again very soon..